As the nation’s largest pharmacy benefit managers leave more therapies off formularies, some ask: are patients harmed? 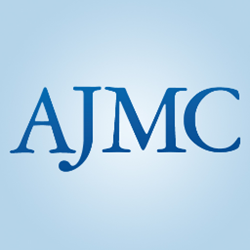 A new review in The American Journal of Managed Care, covering 26 studies about drug exclusions, found that most policies saved money without fallout for patients—but there were some exceptions. An analysis of 26 studies on excluding drugs from formulary appears in the current issue of The American Journal of Managed Care. Can leaving expensive drugs off formulary save money without harming patients? Providers and patients alike have asked this question in recent weeks, as drugs like the insulin Lantus and the cancer drug Gleevec have been left off some formularies, with pharmacy benefit managers (PBMs) steering patients to cheaper alternatives. Research in the new issue of The American Journal of Managed Care examines this question, and findings show that in most cases, exclusion policies work: they control costs without negatively impacting patients. However, as James D. Chambers, PhD; Pallavi B. Rane, PhD; and Peter J. Neumann, ScD, report in “The Impact of Formulary Drug Exclusion Policies on Patients and Healthcare Costs,” there are some noteworthy exceptions. The authors are researchers at the Institute for Clinical Research and Health Policy Studies in the Center for the Evaluation of Value and Risk in Health at Tufts Medical Center. For the full article, click here. Overall, four-fifths of the studies suggested that drug exclusions saved money, but in the others, drug savings were offset by other healthcare spending, such as increased office visits or hospitalizations. The review covered 26 studies on 27 separate formulary exclusions, including 20 studies that addressed the impact on patients. These studies covered 44 separate end points, with 7 showing positive effects for patients and 29 neutral. Six drug exclusion policies (28.8 percent) had a positive effect on patients, 6 had a negative effect (28.6%), and 9 had a neutral impact (42.8 percent). How do drug exclusions benefit patients? Three studies showed that policies on hypertension drugs reduced patients’ blood pressure, while 2 others had positive effects on patients’ high-density lipoprotein or “good” cholesterol. Policies that worked against patients included those for diabetes drugs that increased A1C, and for drugs treating psychotic disorders that increased the likelihood of acute events. “Insurers and PBMs are increasingly excluding drugs from their formularies that they deem to be ‘low value,’“ the authors wrote, referencing 2016 actions by Express Scripts and CVS Health, the 2 large PBMs that have both announced new exclusions for 2017. The authors say drug exclusion policies should be transparent, and health plans and PBMs must clearly communicate the reasons—and evidence—behind their decisions.